The nickname is a natural. 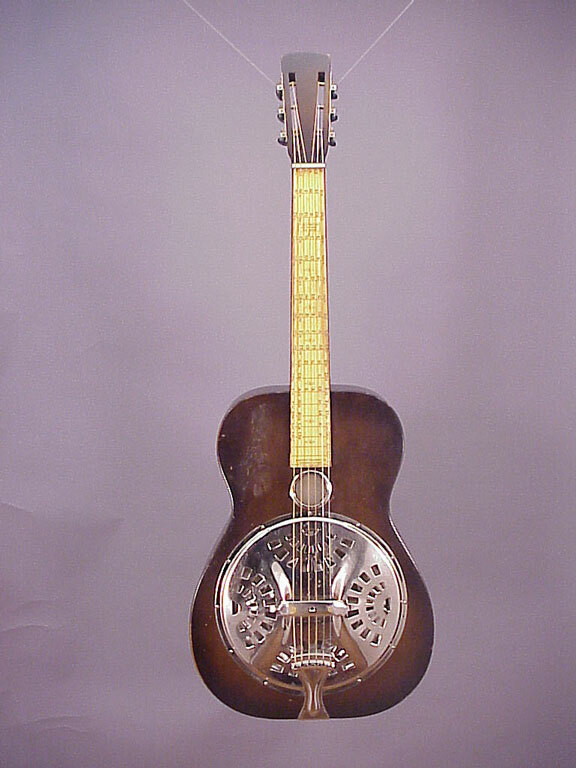 . .
Of all the Dobro resophonic guitar designs, the "Cyclops" has to be one of the strangest. 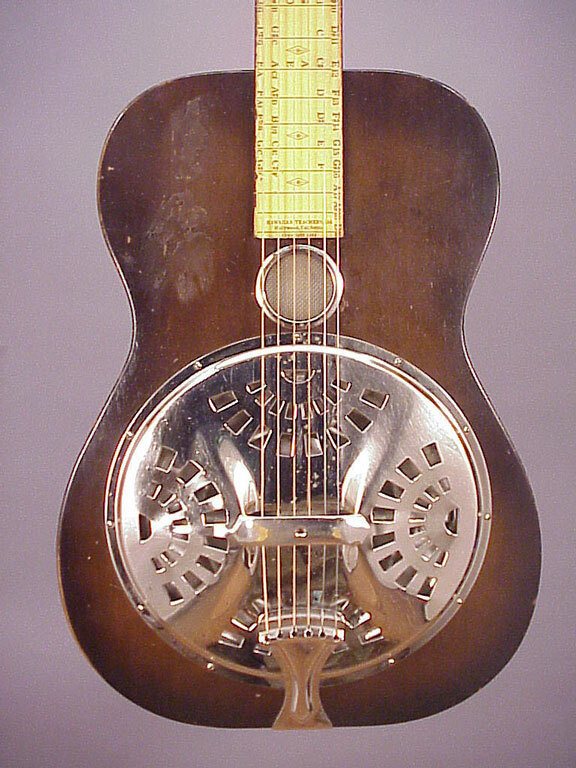 I really don't know all that much about vintage Dobro instruments, so I won't try to comment on its relative merits or lack thereof. 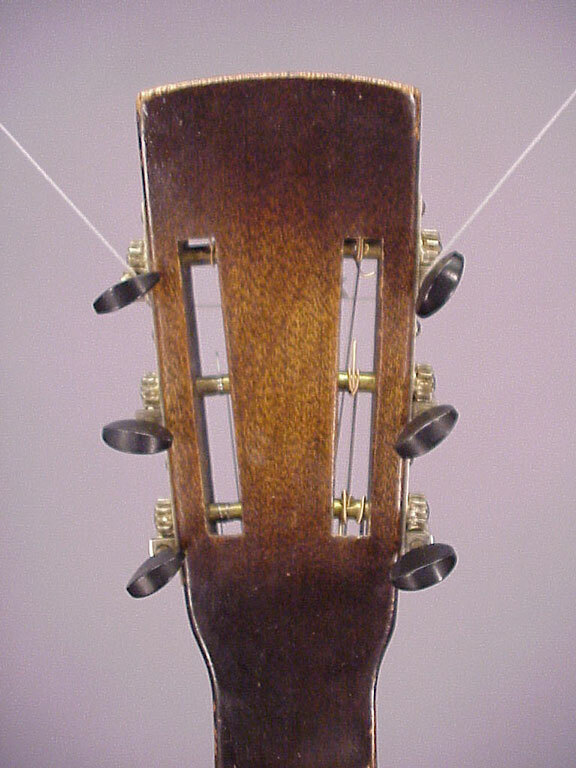 Last month, I got a call from David Grisman, who was looking for a few instruments to fill out the next edition of the "Tone Poems" series of CDs. I named off the items we had in the shop, and he immediately pounced on the Cyclops, saying, "well, we don't have one of those!" So, I suppose we can look forward to hearing this one played by Mike Auldridge on the next Tone Poem CD. The single screen hole is reason enough to show this instrument, but there is another cool feature here. This one has a "third party" paper fingerboard overlay worth a second look. 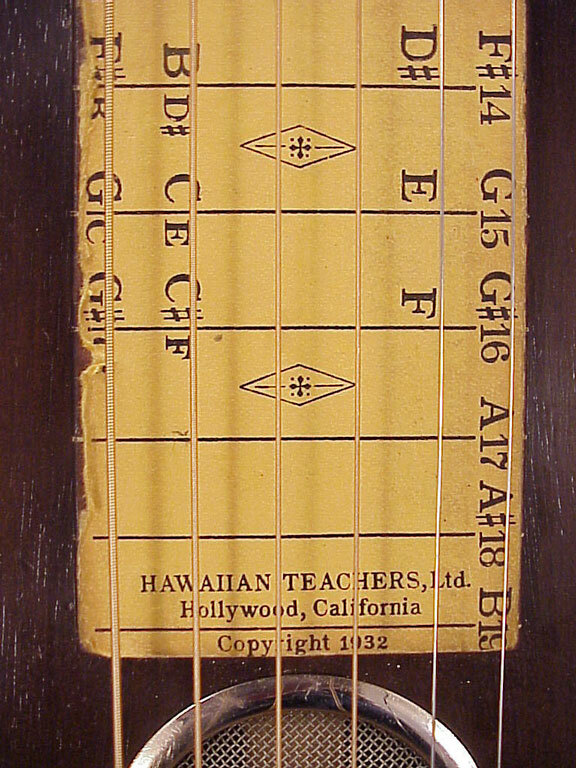 It's a reminder of how intensely popular Hawaiian style slide guitar had become by the early 1930s. 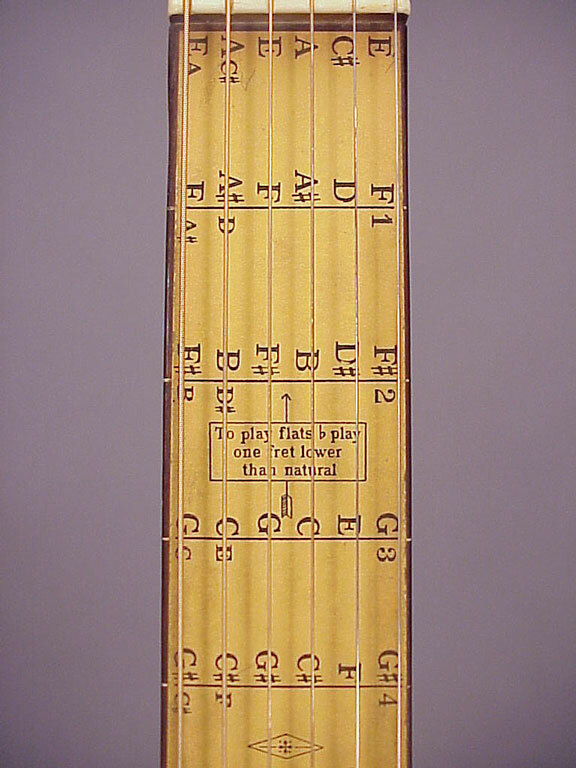 I especially like the directions for playing flats! 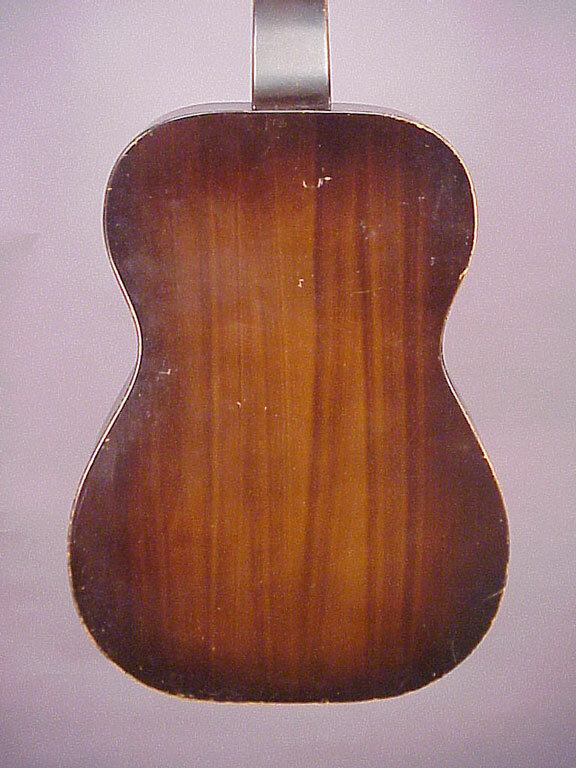 The back of this guitar has a sprayed shaded finish, and a bit of fake wood grain to make the generic hardwood look a little like the mahogany neck. 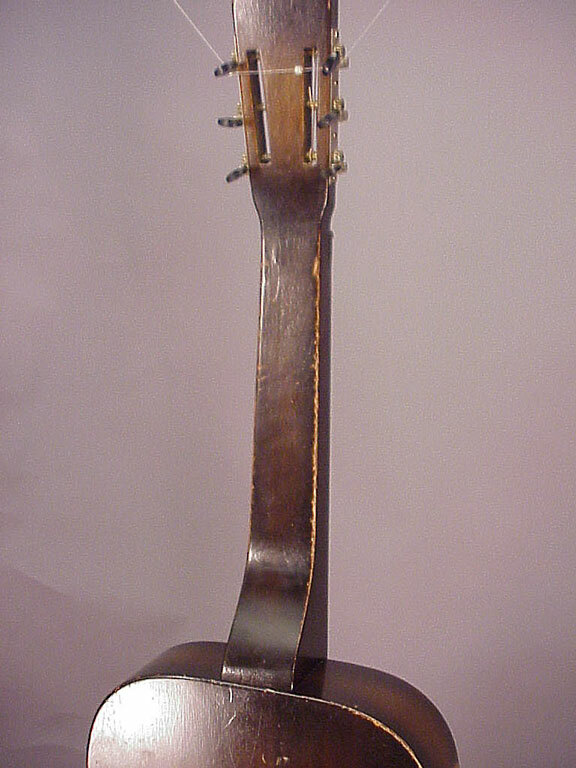 Dobro saved a few pennies leaving off the second screen hole, and even more by eliminating all binding and inlay. 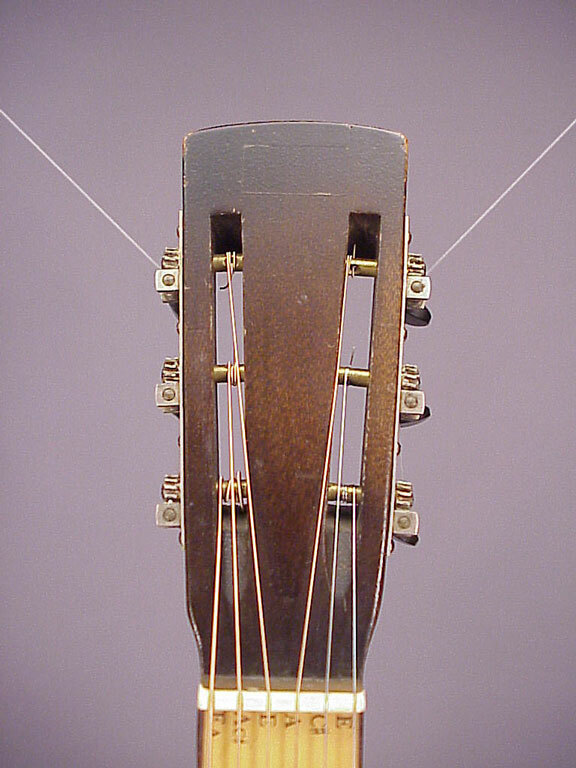 The Great Depression made it necessary for all the instrument manufacturers to come up with economy models.